The Center educates community leaders, stakeholders and faith-based groups about heirs property and its potential impact on owners and their communities. The Center, solely or in collaboration with other partners, has completed 214 community outreach programs, trainings and stakeholder meetings in 38 counties reaching 7,100 individuals. The Center provides financial training and asset education on home and land ownership as a means to grow assets for the next generation. The Center also engages nonprofit and governmental partners to help clients develop land/timber management plans, create conservation easements, qualify for USDA Farm and Home programs, leverage home rehab and restoration programs, and develop working relationships with each of our partners. 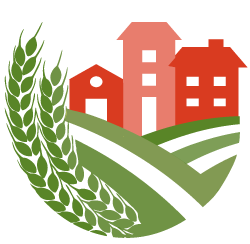 The Georgia Landowner Academy is a program empowering landowners wanting to learn how to manage the business, agricultural and natural resource responsibilities of land ownership. The Academy also positions landowners to access government, private sector and nonprofit programs that encourage property ownership and housing stability. Topics range from record keeping, managing farming and forestry operations, taxes and estate planning. Participants receive information on heirs property and how owning heirs property can be a barrier to qualifying for programs to improve one’s land. Participants also receive information on how to clear title to their property and are offered free wills prepared by a licensed attorney. Click here to apply to the Spring 2019 Georgia Landowner Academy. The Building Generational Wealth webinar series offers online training for nonprofits serving homeowners and others living in generational poverty. The first webinar, "Understanding Clear Title and Estate Planning" featuring Center Executive Director Skipper G. StipeMaas and Legal Programs Director Joann Johnston, is now available online. The webcast series is offered the Generational Poverty Law Project, a partnership between the Georgia Heirs Property Law Center, Atlanta Legal Aid Society, and Pro Bono Partnership of Atlanta and funded by The Junior League of Atlanta, Inc.